Analysis by Ookla® of Speedtest Intelligence® has confirmed that JT customers enjoy the fastest mobile network and data speeds in both Guernsey and Jersey*. Results from all mobile networks in the Channel Islands were analysed by Ookla, the global leader in fixed broadband and mobile network testing applications, data and analysis between April and September this year. Those tests, which are carried out by islanders themselves, confirm that JT has the fastest mobile networks. Ookla’s results are also widely trusted by regulators, trade groups and analysts. Hence, they are used by virtually every major mobile carrier and internet service provider in the world. Everyday ten million tests are actively initiated. With over 20 billion completed to date. Daragh McDermott JT, said: “Our customers regularly tell us that they enjoy the speed of our 4G networks in Jersey and Guernsey. So, these test results from Ookla provide the research data to confirm their feedback. JT’s networks are the quickest. “We’re really pleased to have that confirmed, for the third year running, by Ookla. It's clearly good news for our customers, and testament to the hard work of JT’s engineering teams. They are responsible for building and maintaining the best possible mobile networks. “So, we see it as our responsibility to deliver the best connectivity that we can for Channel Islanders. We have demonstrated that through our fibre broadband networks, our 4G networks. Also with the announcement that we will install 5G (subject to the necessary radio spectrum being allocated) in 2019. 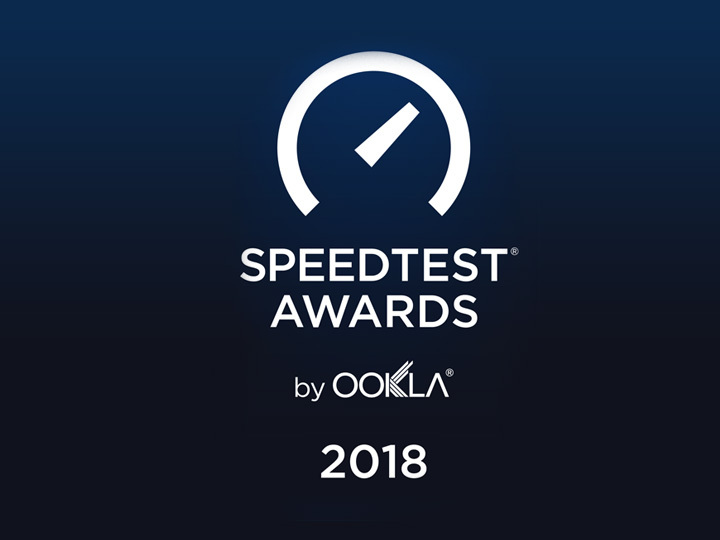 “With millions of tests taken using Speedtest every day, Ookla has developed a comprehensive view of worldwide internet performance. So it is our pleasure to recognize JT as the Fastest Mobile Network in Guernsey & Jersey based on our rigorous analysis. Consequently, this award is a testament to JT’s exceptional performance, as experienced by JT's customers, in Q2 and Q3”. Jamie Steven, Executive Vice President at Ookla.